Innovative label creator software generates bar-coded labels for labeling goods or items of inventory to automate process. Easy to use label maker software provides password protection to prevent unauthorized access of previously designed labels. Innovative label creator software facilitates to save password, to change password and modify existing designs. Efficient and reliable card maker and label designer software generates beautiful cards for various purposes. Efficient card and label maker software facilitates to save a design for further use. Easy to operate card and label maker software provides print preview option with zoom-out facility before actual printing. Powerful label maker software facilitates to design barcode labels using linear barcode font and 2d barcode font. 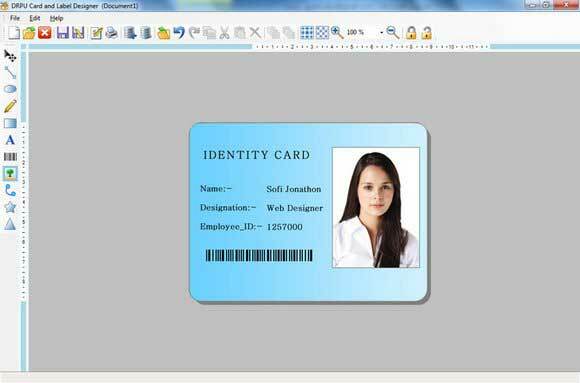 Flexible card maker software generates different type of high quality cards using barcode fonts and graphical objects including line, text, rectangle, triangle, circle, ellipse and arc. Technically efficient label and card designer software facilitates to generate multiple cards having different shape and size. Smooth and efficient card creator software provides advance page setting option for printing cards. Specially designed card and label maker software creates cards and labels for institutes and business organization to automate record entry process. Proficient label designer software generates labels using advance techniques including random value series, sequential value series and constant value series. Expertise card maker software generates printable and colorful greeting cards and identity cards. Feature: * Innovative card maker and label creator software provide bar-coded cards and labels for automation purpose. * Specialized label designer software provides attractive and interactive GUI for Windows novice users with many image editing tools. * Efficient business card maker software facilitates to design cards and labels using templates and existing designs.